The Quran (also written Qur'an and Koran (1) and pronounced Kur'aan) is the sacred scripture of islam. Muslims believe that it contains the infallible word (speech) of ALLAH, in the Arabic language, as revealed to MUHAMMAD the Prophet between the years 610 and 632 (Gregorian, also now called Western, calendar). That is about 1400 years ago. They also hold that because previous scriptures, particularly the TORAH (in Judaism) and GOSPEL (Christian New Testament), had become corrupted, it is the most perfect of all revelations (2). The Quran is about the same length as the Christian New Testament. It consists of 114 parts each called a SURA. Each sura is made up of a number of sentences, each called an AYA. The Quran declares: "That is the book in which there is no doubt", Sura 2, Aya 2 (3). The Quran's leading theme is the declaration that there is Only One the All-Powerful, the All-Knowing, the Most Merciful, the Most Compassionate, and the Most Gracious ALLAH who alone created the universe and governs all that is in it (2). According to the GIANT IMPACTOR THEORY, in the early era of the solar system, a rocky body about the size of Mars crashed into the newly forming Earth. The collision knocked off chunks of matter from the mantles of both bodies. These fragments were captured by Earth's gravity and began orbiting the planet. The fragments clumped together into a larger body, which swept up the smaller debris in its path. This object ultimately developed into the Moon (4). The Moon is a unique satellite in the solar system, the largest relative to its planet. It has a radius of 1738 km, a density of 3.344 g/cm³ (Earth density = 5.52 g/cm³), and a mass that is 1/81 that of the Earth. The orbit of the Moon around the Earth is elliptical with a very small eccentricity (e =0.0549) so that it is nearly circular. The orbital speed of the Moon is 1.03 km/s. The lunar orbit is neither in the equatorial plane of the Earth nor in the plane of the ecliptic (the plane of the Earth's orbit around the Sun). It is closer to, but inclined at 5.09°, to the latter (5). Some astronomers refer to Earth and the Moon as a binary planet system because of the relatively large size of the Moon (6). The surface gravity of the moon is about a sixth of that of Earth. Because the moon is so close to Earth, the pull of its gravity causes the tides. The tides are the regular, periodic rise and fall of the surface of the Earth's seas (7). The tides are, therefore, the result of the gravitational tug-of-war between Earth and the Moon (8). The moon is the Earth's nearest celestial neighbor with a mean distance from the Earth (center-to-center) of 384,400 km. Because of the elliptical orbit of the Moon and depending on the distance of the Moon from the Earth, the gravitational pull exerted by the Moon varies in strength and therefore causes high tides and low tides (9). The tides also regularly cause very slight deformations in the solid parts of the Earth. The Earth's much stronger gravity affects the moon as well. It keeps the Moon in its orbit. Its pull causes slight bulges on the moon's surface in the direction of the Earth (7). The gravitational force that holds a person to the Earth and holds the Moon in orbit around Earth has a certain strength. The strength of a gravitational force, that is how strongly any two particles with given masses at a given separation attract each other, depends on the value of the gravitational constant G. If G, by some miracle, were suddenly multiplied by a factor of 10, one would be crushed to the floor by the Earth's attraction. If G were divided by this factor, Earth's attraction would be so weak that one could jump over a building (4). In the Al-Inshiqaq sura of the Quran (The Sundering), the Earth is to cast out that within it and relinquish (10) what it bears and the Moon?! This is probably best explained by Kenawi's theorem (11) of the end of gravity on the earth. The Moon's gravitational effect has stabilized the obliquity of the Earth, preventing large-scale excursions that might have had catastrophic effects (5). However, the combined gravitational effects of the Earth-moon system are very slowly causing the Earth to spin slower and the Moon to recede from the Earth (7). It is established that the Moon is already receding from the Earth, due to the tidal interaction described above, at a rate of 3.74 cm/year (5). According to Kenawi's theorem (11) recession of the Moon away from the Earth is to greatly accelerate proportional to acceleration of time on the earth (and the corresponding diminution of the gravitational pull on the Moon by the Earth). In the Al-Qiyama sura of the Quran (The Resurrection), the Sun and the Moon are to be joined together (12). This can now be clearly understood in the light of present day scientific knowledge. It is now not difficult to understand that the Earth will relinquish the Moon, as it loses its gravitational pull on it, so that the Sun's gravitational pull on the relinquished Moon will effect a union between both. How magnificent must the Quran be, giving us this bit of knowledge one thousand and four hundred years ago! So, how can one be an atheist or an unbeliever? 1. Soanes, C. and Stevenson, A. Concise Oxford English Dictionary. 11th Edition, 2004. Oxford: Oxford University Press. 2. Campo, JE. Encyclopedia of Islam. 1st Edition, 2009; pp.570-4. New York: Facts On File, Inc.
3. Assami, A. The Noble Quran • Saheeh International English Translation. 1st Edition, 2007; Sura 2, Aya 2. (http://www.imaanstar.com/). 4. Moore, P. Philip's Astronomy Encyclopedia • A Comprehensive A-Z Guide to the Universe. 1st Edition, 2002; pp. 269, 332. London: Philip's, an imprint of Octopus Publishing Group. 5. Taylor, SR. The Moon. In Encyclopedia of the Solar System, edited by McFadden L-A, Weissman PR and Johnson TV, 2nd Edition, 2007; pp. 227-8. San Diego: Elsevier Inc.
6. Furniss T, Lee G and Stokes J. Space and Astronomy • An Illustrated Guide to Science. 1st Edition, 2006; p.35. New York: Chelsea House Publishers. 7. Green, A. New Views of the Solar System • Compton's by Britannica®. 1st Edition, 2007; p. 39. London: Encyclopædia Britannica, Inc.
8. Angelo, JA Jr. Encyclopedia of Space and Astronomy 1st Edition, 2006; p. 406. New York: Facts On File, Inc.
9. Curley, R. Universe. Volume 1 in Britannica Illustrated Science Library, edited by Levy M, 1st Edition, 2008; p.76. London: Encyclopædia Britannica, Inc.
10. Assami, A. The Noble Quran • Saheeh International English Translation. 1st Edition, 2007; Sura 84, Aya 4. (http://www.imaanstar.com/). 11. Kenawi, MM. End of gravity on the earth: Further Cracking of the Einstein Code and of the Schwarzschild Solution. 2010 (http://www.goarticles.com/cgi-bin/showa.cgi?C=2463270). 12. Assami, A. The Noble Quran • Saheeh International English Translation. 1st Edition, 2007; Sura 75, Aya 9. (http://www.imaanstar.com/). FURTHER CRACKING OF THE EINSTEIN CODE AND OF THE SCHWARZSCHILD SOLUTION. ACCELERATION OF TIME ON THE EARTH HAS ALREADY BEGUN. M.M. 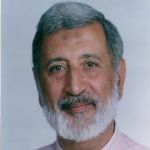 Kenawi is Professor of Surgery at Cairo University (Egypt). He is Webmaster of his site on Surgical Education. He has a search toolbar in his name, and articles on Redirection of Website URLs in HTML and on Windows Vista.